Does the First Amendment protect medical professionals? Do free speech rights extend to veterinarians giving advice over the phone? For 10 years, Ronald Hines was the Internet’s most generous veterinarian, dispensing email advice to pet owners in far-flung places—including a Scottish missionary in Nigeria and a double amputee in rural New Hampshire. Then the state of Texas shut him down. 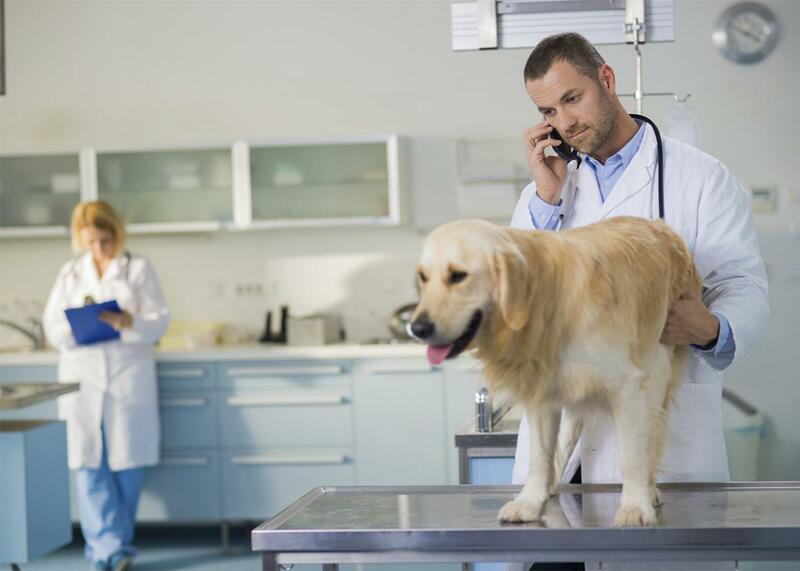 Texas law, the veterinarian licensing board reminded Hines, requires all vets to perform an in-person physical exam before giving any opinion about an animal and explicitly bars exclusively electronic advice. The board fined Hines and suspended his license. Now Hines is fighting back in court, alleging that the Texas law burdens his First Amendment right to free speech. The 5th U.S. Circuit Court of Appeals ruled against him, but Hines appealed to the Supreme Court, which will soon decide whether to hear his case. Hines may not know it, but he just lit a match in one of the most explosive jurisprudential tinderboxes of this decade. Does the First Amendment protect medical professionals—vets, doctors, surgeons, psychotherapists—against intrusive regulation of their expression? The case may seem to be about a good-hearted vet and a malicious licensing board. But in deciding the fate of Hines’ professional future, the justices will also be wading into a debate that directly implicates gun rights, abortion, marijuana, and ex-gay conversion therapy. The state of First Amendment protections for professional speech has long been a constitutional mess. Because of the Supreme Court’s hesitance to address the issue, federal circuit courts have been left free to wander off into their own constitutional pastures. The 3rd Circuit upheld a law barring licensed therapists from practicing ex-gay conversion therapy on minors—but noted that the law survived constitutional scrutiny only because it furthered the important interest of protecting kids from harm. The 9th Circuit upheld a similar ban on conversion therapy on totally different grounds, and it struck down a law barring doctors from recommending medical marijuana to patients. The 5th and 11th circuits upheld the same anti-marijuana law. The 4th Circuit upheld restrictions on fortunetellers’ speech but struck down an abridgement of abortion providers’ free expression. The 8th Circuit struck down restrictions on fortunetellers’ speech but upheld the stringent regulation of abortion doctors’ speech. The 5th Circuit upheld laws restricting tour guides’ expression while the District of Columbia Circuit struck down similar regulations. Meanwhile, the 11th Circuit has strived for consistency at the expense of reason, upholding both a restriction on interior designers’ speech and a law barring pediatricians from teaching parents about gun safety. Like most court-watchers, I try to maintain faith in the impartiality of our judiciary, in its ability to resolve ideology-laden conflicts with neutrally applicable rules. But come on: Something’s going on here, and it’s not entirely about the First Amendment. A rule that renders medical marijuana counseling “protected speech” but somehow transmogrifies ex-gay conversion therapy into unprotected “conduct” can’t be logically squared. Ditto a rule that values the (false) speech of fortunetellers more heavily than the (true) speech of abortion providers. Comparing these opinions, it’s difficult to avoid the conclusion that the courts—relatively free from any clear constitutional lodestar—upheld bans on speech they disliked and struck down bans on speech they favored. Some circuits don’t even try to conceal the policy preferences embedded in their rulings on professional speech regulations. Most memorably, the 11th Circuit’s decision in Wollschlaeger v. Governor of Florida—upholding a law barring doctors from asking parents about firearms in the home—was essentially a paean to gun ownership and a diatribe against (imaginary) liberal doctors foisting their anti-gun agendas on patients. The court fretted about the “highly disparate power balance of the physician-patient relationship,” fearing that a prying doctor could cause “real harm” to a patient by “extracting private information.” In essence, the court found that gun owners have such a strong interest in keeping their gun ownership private that the state can silence doctors who try to protect kids from a known public health risk. This in a state where dozens of children are wounded and killed by guns every year. For a free speech purist like me, the Wollschlaeger decision was a complete disaster. Forget, for a moment, about the value of protecting kids from guns. What about the value of shielding doctors from ideology-driven, state-imposed gag orders? If the government can truly stifle a doctor’s speech simply because it doesn’t like her message, the First Amendment has been completely defanged. And yet, the other extreme is just as troubling. When the 9th Circuit labeled ex-gay conversion therapy “conduct” and denied it First Amendment protections, many liberals cheered. But the court’s ruling used the same logic that more conservative circuits have used to uphold laws requiring abortion providers to tell women gruesome, religious, and demonstrably false information about the procedure. If all medical treatment is “conduct”—from psychotherapy to patient counseling to surgery—then doctors surrender their free speech rights at the treatment room door. That would let states commandeer doctors to use as mouthpieces for their own ideology, a true nightmare scenario for the First Amendment. Ultimately, the best standard to apply to professional speech, and medical speech in particular, is probably the compromise test announced by the 3rd Circuit. Applying “intermediate scrutiny”—the test used to review restrictions on commercial speech—the court found that a restriction on professional speech must “directly advance” a state’s “substantial interest” and be “no more extensive than necessary.” Analyzing an ex-gay conversion therapy ban for minors, the court found that protecting kids from unconscionable abuse is a substantial government interest, and that the law itself was closely tailored to advance that interest. The Supreme Court declined to review that decision, but the justices now have an opportunity adopt the 3rd Circuit’s standard through Hines’ case. They should take it. A fair application of the rule would give Hines justice, since Texas’ blanket ban on electronic vet advice is absurdly overbroad. It would also create some consistency in the lower courts, aligning the circuits around a single standard … for a few years, at least. (Circuit courts specialize in bending and manipulating constitutional rules until they’re unrecognizable.) A straightforward judgment for Hines could lend coherence to free speech doctrine, even if it probably wouldn’t prevent judges from eventually injecting their partisan preferences anyway. No rule has yet been invented to put a stop to that.